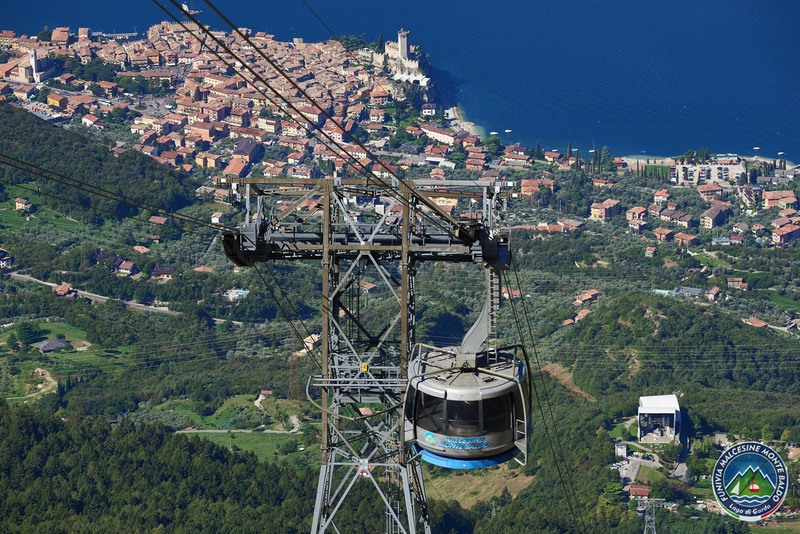 The cable car Funivia Malcesine – Monte Baldo is always a port of call and compulsory stop for tourists around Lake Garda, in winter and even more in summer. 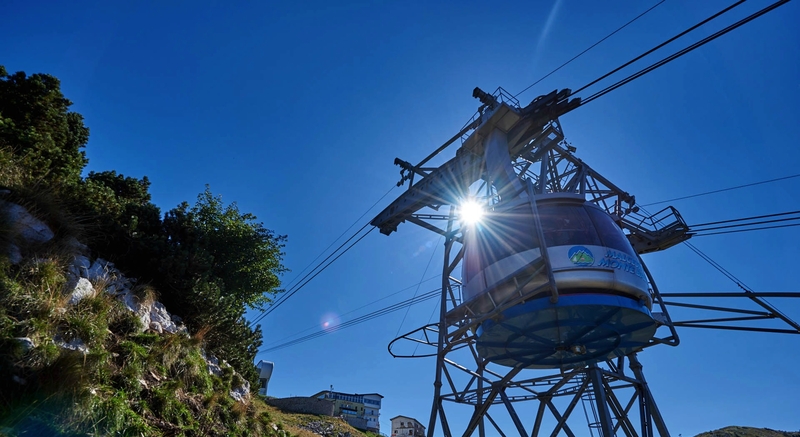 A fascination that is also reflected by the cable car stations: a butterfly-like architecture with precious hightech inside. 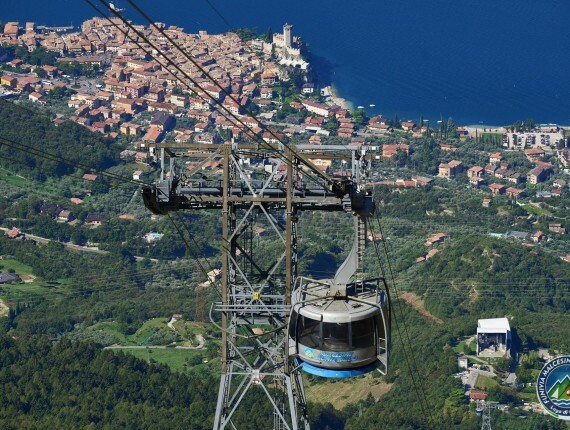 Beside being a tourist attraction thanks to the miracles of nature and the fantastic panorama of Mt Baldo the cable car represents one of the most modern and advanced cable car plants worldwide, with its rotating cabins able to make you fully appreciate the unique panorama of Mt Baldo and Lake Garda. 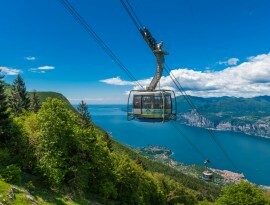 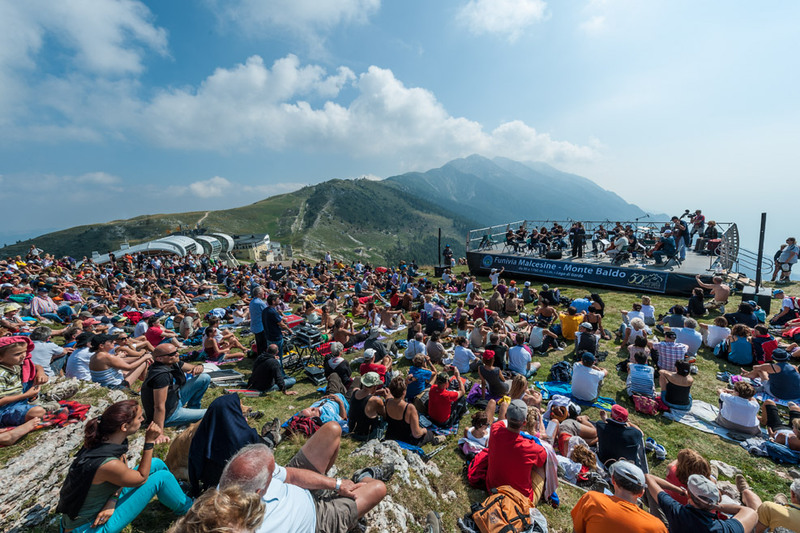 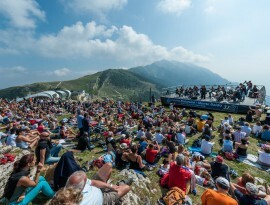 Live a blue colored dream from Malcesine up to the top of Monte Baldo. 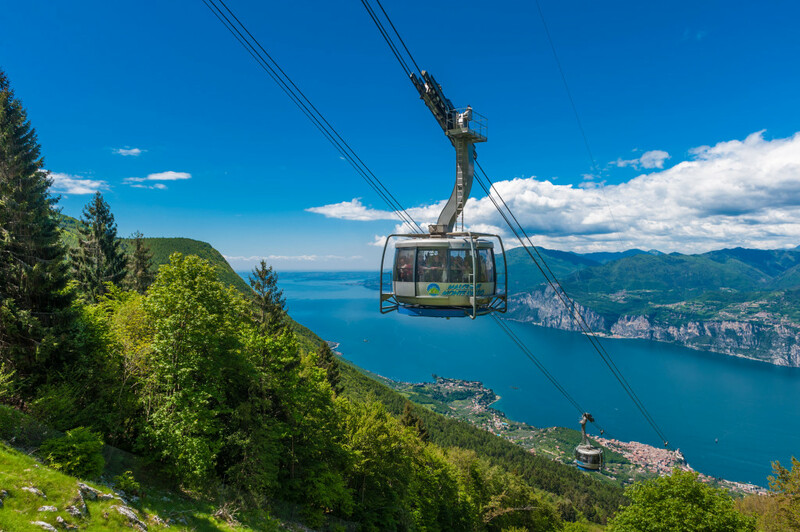 Admire the blue shades of both lake and sky melting into an amazing landscape offering a view in all its variety: From snow covered Alpine peaks to the rough profile of the closer mountains and the soft scenery of the lowlands. 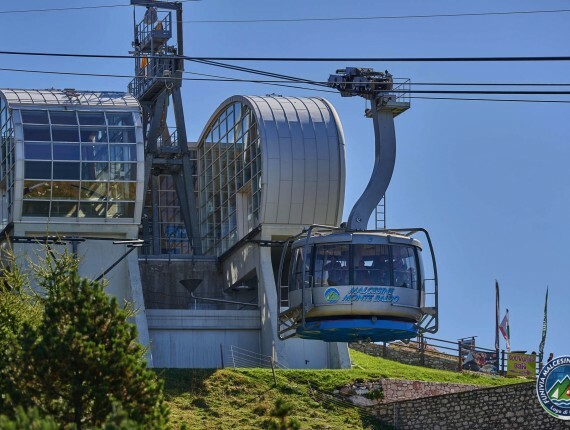 Here the cable car “flies” up to 1,800 meters altitude within only a few minutes. The rotating cabins, unique in the world, let you experience new emotions every time you go. 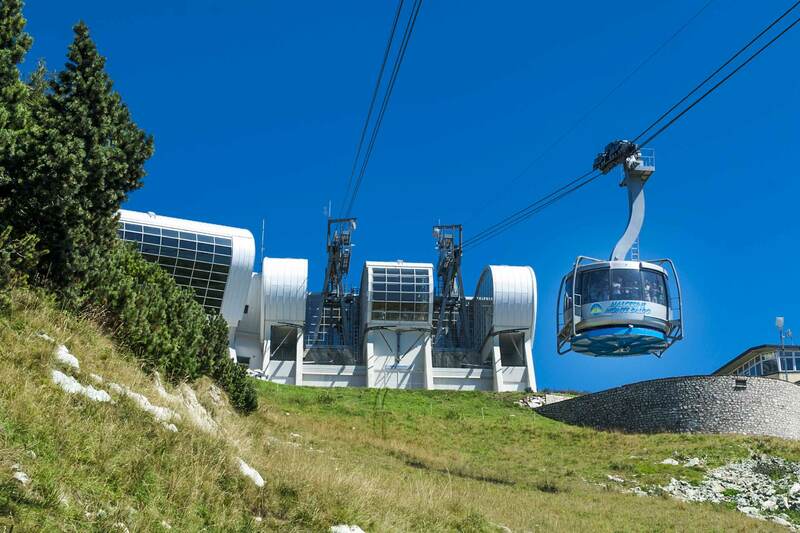 A fascination also reflected by the cable car stations: a butterfly-like architecture with precious hightech inside.